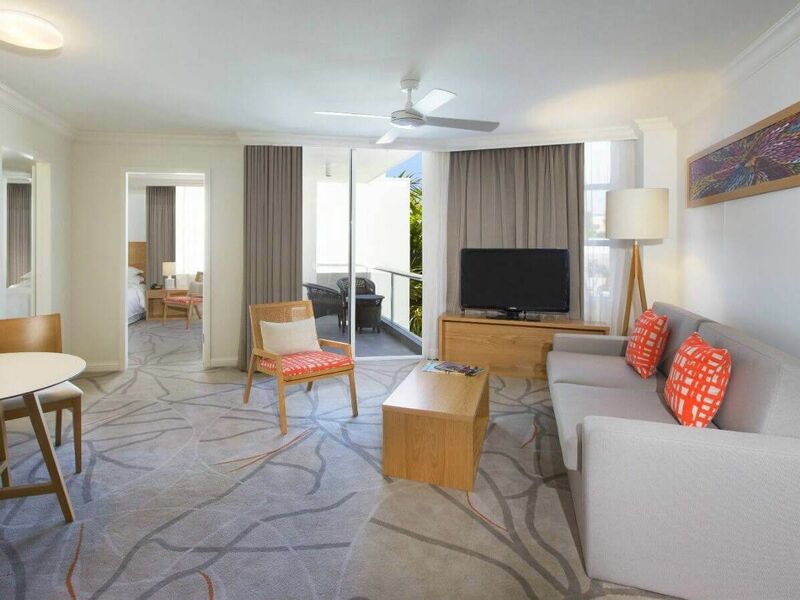 Opera Suites feature two bedrooms and are ideal for families or small groups who enjoy shared experiences. An inviting living area features a sofa as well as a 42 inch LCD TV, while the kitchenette and dining table are ideal for in-room meals. Both bedrooms share an oversized bathroom with a glass-enclosed shower and a separate spa bathtub. The main bedroom has a king bed with the second featuring two double beds. 75 square metres. Designed for a longer stay, the Residence Apartment has two bedrooms, one with a king bed and the second with two single beds. A fully equipped kitchen is perfect for nights in, whilst a washing machine and dryer is welcome if children are staying or you’re here on an extended stay. 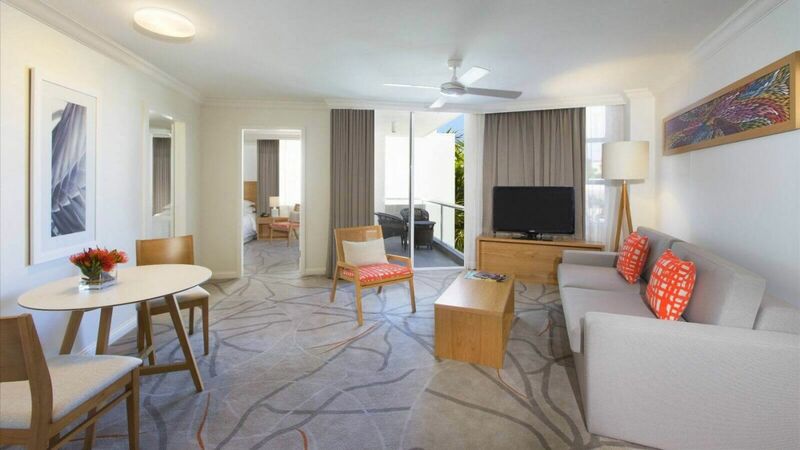 The Residence has two bathrooms a large living area and direct access to the Resort's jetty and Noosa River. An outdoor BBQ is located on the patio. 90 square metres.